The 2012 Tokyo Auto Salon is well and done for another year, and in this post from Motor Trend, Peter Lyon, managed to get some comments from Katsutoshi Mizuno, and Toshio Suzuki. Supposedly this is the first time "Mr. GT-R" Mizuno attended the event, and he thought that he might be able to learn some things from the tuners. It is an interesting comment, considering that his stance has normally been that the GT-R does not need any tuning. 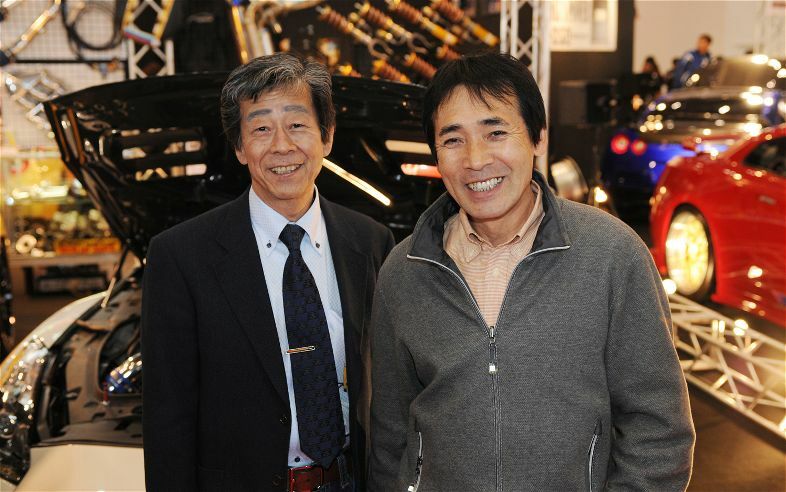 GT-R chief test driver Toshio Suzuki and Toshikazu "Mr. GT-R" Mizuno, the GT-R's chief engineer, who were visiting the salon for the first time, were impressed at what some tuners were doing. "I think we can learn something from these guys. But the issue with souping up a GT-R as with all cars is how much stress can the transmission take?" Mizuno commented. How much can the transmission take? Stock, it can take quiet a lot, even though it has a few issues. The bigger issue with the GR6 is still the inability for the Nissan dealer to repair it, rather they just remove and replace the transmission in the case of issues. Even something as simple as a fluid leak, can be a transmission R&R. Head over to Motor Trend for the full article and pictures.